When someone would cut you down to size, sometimes all it takes is to stand up and show some badass purrsonality! 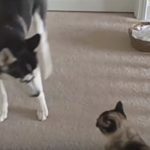 😉 Here’s a video by TheMrhero003 of an adorable black kitten hissing and arching its back to show a Rottweiler he is messing with the wrong cat. 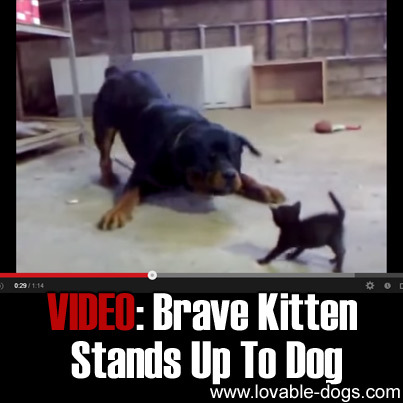 Chained, a Rottweiler hops around in front of a little kitten and barks constantly. The kitten bends its back and holds its tail vertically, its eyes very focused on the chained dog, as a response. 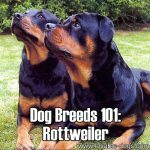 Learn the easiest, fastest way to train your dog - without cruel shock collars, punishments or shouting. Well, the kitten hoped it could have a good walk throughout the day, but the dog isn’t going to give it that quietly. 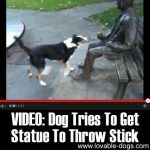 The dog barked at him intimidatingly. Too bad the feline wasn’t all talk. While the dog put down its head, the kitten struck in quick movement toward the dog. Wohoo! Some guts for some cute kitten, I should say! Cats tend to perform defensive acts when threatened or being aggressive or defensive, just like any animal does. 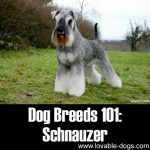 They may also flatten their ears or puff up their tail or even attempt to increase their size by letting their back hair stand up. They definitely keep a few tricks up their sleeves. Dogs, on the hand, can be territorial. When they perceive a threat, they will go after it, as if it were a prey. 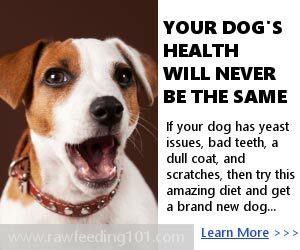 But for a domestic dog, this is not always the situation. When a kitten is around, a dog’s play instinct can come into being. 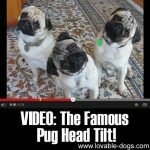 More than territorial, dogs are playful. At the sight of a kitten moving, especially a new comer in the household, a dog may go after the kitten to play with it. It looks like the Rottweiler is having fun – but we can’t quite be sure if he is just playing around, toying with kitten. After all, logic says it can just easily paw down or bite the kitten seriously. It has the size advantage to do that. One thing is certain though. The kitten couldn’t just stand still and stay cute for the dog’s sake. A dog can’t be the boss all the time when a spunky feline is around…. 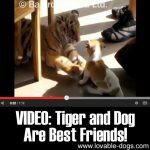 VIDEO: Tiger and Dog Are Best Friends! Scared Homeless Dog Has The Rescue Of A Lifetime. Her Transformation Will Melt Your Heart. 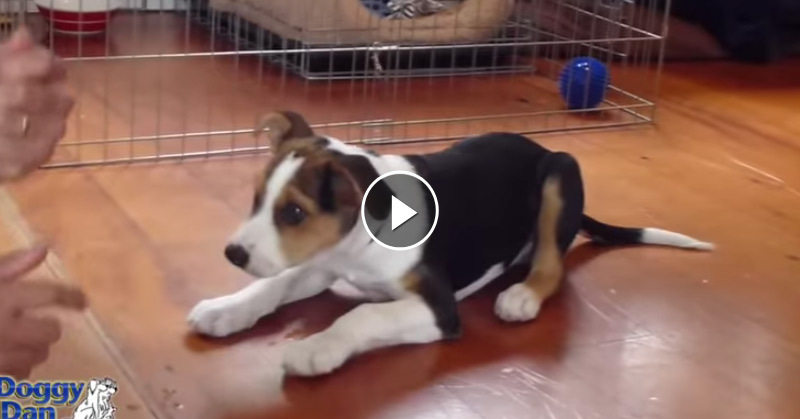 VIDEO: Cute Puppy Falling Asleep! 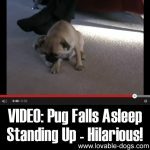 VIDEO: Pug Falls Asleep Standing Up – Hilarious!! 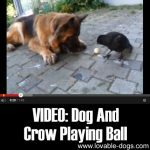 VIDEO: Dog And Crow Playing Ball! Boxer Excited To Go For A Walk, Goes Crazy! 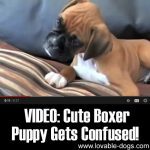 VIDEO: Cute Boxer Puppy Gets Confused! How To Teach Your Dog To HUG You! 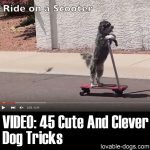 How To Teach Your Dog The Walking Handstand! 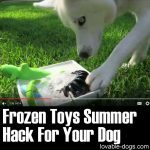 How To Train Your Dog To Crawl!